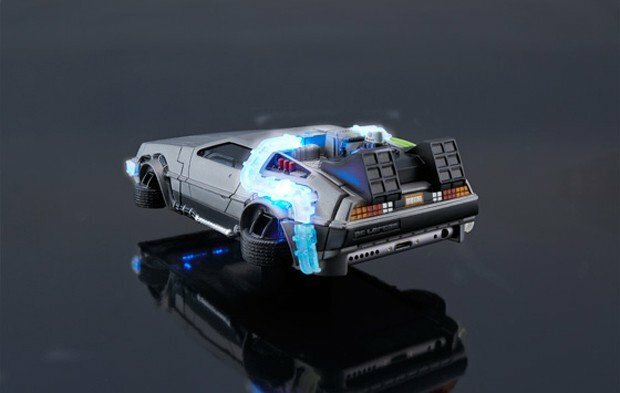 Along with the Tim Burton Batmobile iPhone 6 case, Bandai also added this Back to the Future DeLorean DMC-12 to its Crazy Case series. 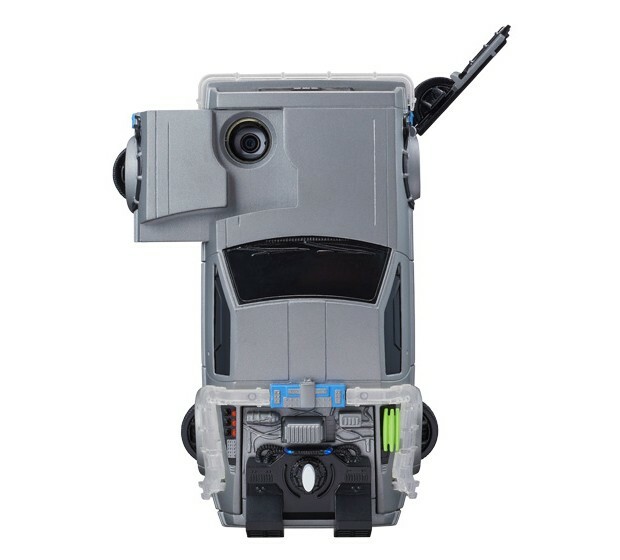 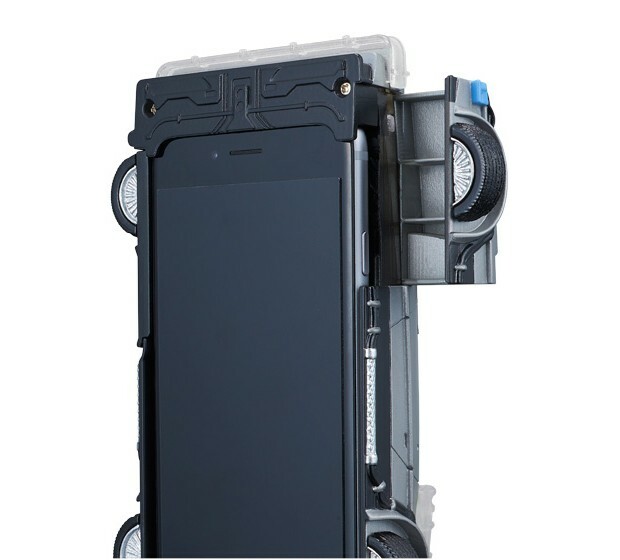 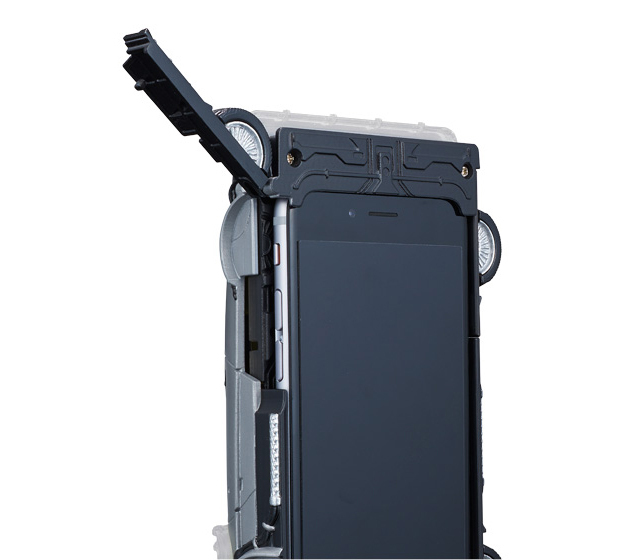 The case has light up headlights and flux bands, and its hood and front tires slide away to expose the iPhone 6’s camera and side buttons. 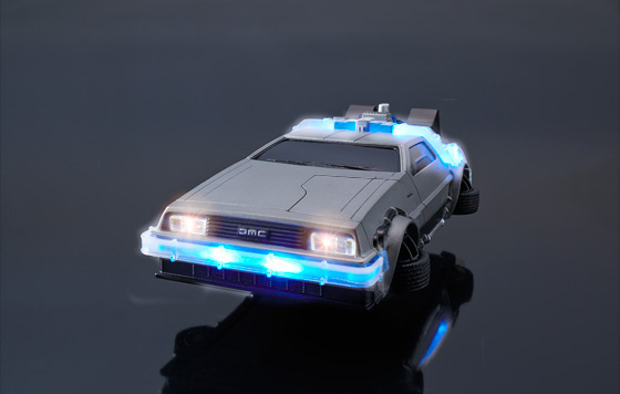 Get your browser up to 88mph and pre-order the case from Bandai’s online shop for about $50 (USD).